Plan to rent a car in Costa Rica? While having access to your own vehicle is a great way to explore the island's biodiverse national parks and beaches, there are a few things that you should keep in mind before exploring this eco-tourism hotspot on your own. You are not required to carry an International Driving Permit.. All you need is a valid license from your own country of residence. Citizens of some countries might also require a tourist visa. The U.S., Canada, Australia, New Zealand and most European countries are not on this list. Still, if you travel overseas a lot, an International Driving Permit is a good idea. It's inexpensive and easy to get an IDP, which basically is just a translated version of your driver's license, but you need to apply before you leave on your trip. Book from home. Don't wait until you get off the plane to rent a vehicle. It will be cheaper to book your car from the United States. Know your insurance options Costa Rica's insurance coverage is more complicated than in the U.S., starting with a mandatory Supplemental Liability Insurance (SLI) fee, which is sometimes referred to as Primary Liability Insurance (PLI), and covers third-party damages. Note: If you book through AutoSlash, all mandated coverages will be included in your quote. When a tax or fee is required from 100 percent of renters, the rental car companies include those charges in the quotes provided to us. If you book elsewhere, these could be added at the counter unless shown in your taxes and fee breakdown. Optional coverage includes the Collision Damage Waiver/Loss Damage Waiver, which covers damage to the vehicle if you get into an accident or the car is damaged while driving on poor roads. Check to see whether your credit card offers car rental coverage overseas. If yours does, you will be covered as long as you use the card to pay for the rental. There may be gaps in the CDW and theft protection. Be wary that you will still face some risks if CDW and SLI are all you have. In Costa Rica, CDW insurance will not typically cover damage due to vandalism or misuse. Minor damage to the exterior of the car can still be taken from your deductible. And while theft insurance may cover a stolen rental car, it will not extend to any personal belongings you have inside the car. Carry valuables with you or leave them in the hotel safe. If you want to have zero liability, opt for the Full Protection policy at the counter. Look at both U.S. brands and local outfits Costa Rica has an abundance of car rental options, many of which are local chains. You will be able to rent with familiar companies such as National, Alamo and Budget, but it's worth checking out Vamos Rent-A-Car, Adobe Rent a Car and FAST Rent a Car, too. Pay for your rental in local currency, not US dollars. Dynamic Currency Conversion may seem like a convenient service. It essentially offers you the choice of being charged in the local currency or your home currency. But if you opt to pay in U.S. dollars, the rental car company converts the purchase amount from the local currency on your behalf. But this process entirely unnecessary, since your credit card company will process the transaction in either currency, and you will pay through the nose for the non-convenience. Inspect the car before you drive away. No matter how excited you are to get behind the wheel of your vacation car in Costa Rica, take time to protect yourself from potential false damage claims by inspecting the car and taking note of dings, dents and scratches. Document everything with photos at the time you pick up and return the car. Watch out for sky-high fines. The only thing wild about your road trip should be the animals and scenery you encounter along the way. 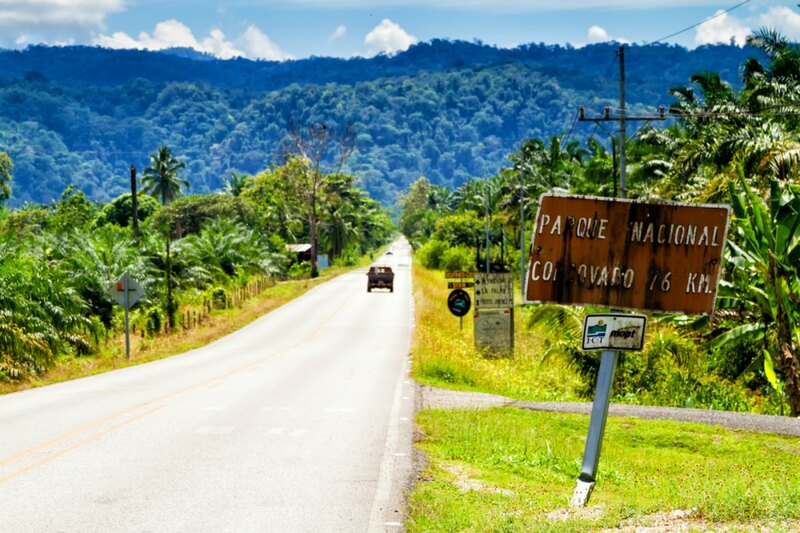 Driving recklessly or not paying attention can cost you big time in Costa Rica. A few behaviors that can snag you a fine include: passing a car on a curve or on a bridge, parking in areas with yellow lines, not wearing a seat belt and speeding. The fines in Costa Rica are exorbitant. For example, failing to fasten your seat belt or talking on your phone while driving can set you back $185.